Before I was healed of TMS by Dr. John Sarno in 2017 (see earlier blog), I tried every treatment out there for chronic low back pain over the decades. Seven years ago I tried a new acupuncturist recommended to me by a friend. This gifted highly intuitive acupuncturist came from a lineage of 16 generations of acupuncturists in China. She had devised her own unique treatment called “Hot Acupuncture.” Rather than moxibustion heating, she would apply the needles at an angle so that she could lay towels on them and have them lay down. Then she would place extremely hot wet compresses on top of them until they cooled. The question was how many towels I would need. I had gone with the friend who recommended her and she was on the other table. She needed only 1 towel between her skin and the very hot wet compresses. She was not an HSP. I on the other hand asked for 2 towels to be safe and nearly leapt off the table when she put the boiling hot compresses on my towels. She took them off quickly. In the end I needed 4 towels and I still squirmed when the wet heat seeped through to my skin. She assured me that I would build a tolerance to the heat and that the hotter I could tolerate, the more effective the treatment would be. TRYING NEW MODALITIES OF HEALING IS WONDERFUL, BE ADVENTUROUS … BUT ALWAYS WITH A MODICUM OF CAUTION … AND DON’T BE A HERO! By the 3rd treatment, I felt perhaps I could bear fewer than 4 towels and asked her to use 2 instead. She placed the towels and then the steaming compresses. I breathed deeply and used my very best mind control to attempt to tolerate the extreme heat creeping quickly through to my skin. I squirmed, visualized, breathed and finally called out to her to come and take them off. I made it about one minute … a very long 60 seconds. I could feel the burn on my skin after she removed the compresses. She added more towels and continued the treatment and said “you’re so very sensitive” (as though I had never heard that before!). The burning sensation never stopped and I knew I had been burned. My friend had needed only needed one towel again and was enjoying the heat. I went home that evening and looked at my back in the mirror. I was burned like a bad sunburn and it lasted for 2 days. My friend and I were both Caucasian, fair skinned, around the same age and weight. She was actually much fairer than was I but it seemed to have no bearing on our differing sensitivities. She enjoyed the heat with one towel for 20 minutes, and my skin remained burned for 2 days with 2 towels after only one minute. If ever there was a case for high sensitivity, there it was! I was highly athletic and could take alot of pain from sprains and other sport injuries, so it wasn’t as though I was a delicate flower of a woman, far from it. But when it came down to an actual comparison of HSP versus non-HSP skin on 2 statistically similar women, the outcome was quite telling. 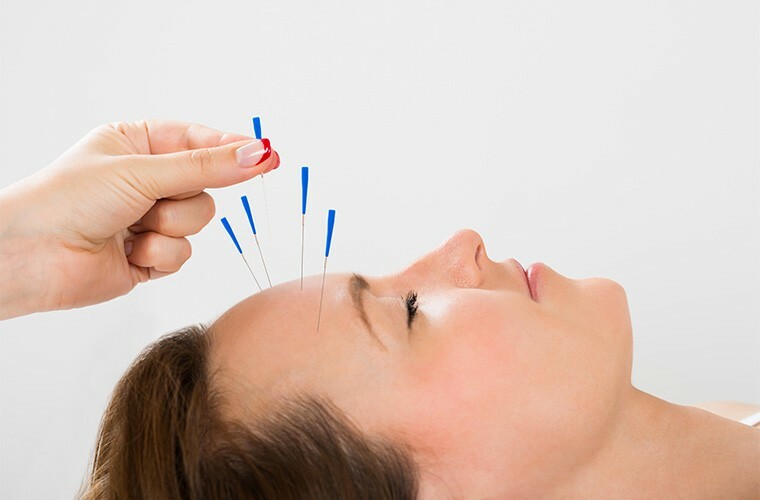 Acupuncture is a wonderful and effective treatment and acupuncturists are amazing healers by training and by natural gifts. I believe and recommend it highly because it works. This has nothing to do with the acupuncture per se. This is about an excellent non-laboratory setting for testing an HSP and a non-HSP on a mild medical procedure. I will continue to repeat myself from previous blogs to say always speak up! If you feel you may have a reaction to a new treatment, try to test it first and don’t be shy about your sensitive reactions. I’ve had to learn that the hard way and would love for all of you to avoid such experiences. By the way, I’ve been to many acupuncturists who assure me that I won’t feel most of the needles being tapped in. Ohhh but I beg to differ! Many have tested me by using their lightest touch on normally less sensitive areas on the body. They have often been amazed that lying on my stomach, eyes closed, I know where every single needle is being inserted and half of them sting considerably. Not real pain, not at all, but a definite pinch and many times have left bruising in various areas. It is not their fault that I’m have sensory processing sensitivity (see earlier blog), but it’s not mine either. However, it is our responsibility to forewarn such practitioners and not be shy about it. Life is hard enough, so avoiding extra undue pain should be a high priority. Please be careful out there!